Naturalized American Forward Sean Anthony (193-F-86) had a great game in the last round for Global Port, receiving a Interperformances Player of the Week award for round 9. The 32-year old player had a double-double of 24 points and 17 rebounds, while his team beat Alaska Aces (#8, 5-7) 94-84. Global Port maintains the 7th position in Filipino PBA. Global Port is a typical solid league team placed somewhere in the middle or a little bit lower in the standings. They need more victories to improve their 5-6 record. It's Anthony's second year at Global Port and it's hard to imagine this team without him. Sean Anthony has solid league stats. He is in league's top in points (2nd best: 20.7ppg), rebounds (7th best: 8.9rpg) and averages impressive 2.7spg and 54.3% FGP. 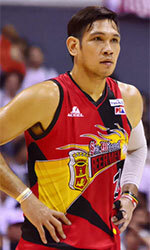 The second best player in last round's games was 37-year old German Joachim Thoss (201-C-81) of Alaska Aces. Thoss had a very good evening with 21 points, 5 rebounds and 2 assists. Of course Alaska Aces cruised to a 88-80 relatively comfortable win over slightly lower-ranked NLEX RW (#10, 4-8). This victory allowed Alaska Aces to move up to 8th position in the standings. His team is not often considered as one of the league's best with a mere 5-7 record. 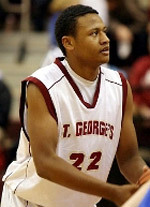 Thoss is one of the most experienced players at Alaska Aces and has a reputation of one of team's most reliable players. Third on the list of top players last round was another Global Port's star - guard Robert Bolick (185-G-95). Bolick scored 24 points and passed five assists. He was another key player of Global Port, helping his team with a 100-97 win against the higher-ranked Ginebra Kings (#3, 7-4). The chances of Global Port ranking at the top of the league, however are very questionable as they have already lost 6 games, recording just five victories. With bigger assistance of his teammates, Bolick could help Global Port to bring them higher in the standings. Bolick has a very solid season. In 11 games in Philippines he scored 10.6ppg. He also has 5.5rpg, 4.1apg and FGP: 54.3%.